We couldn’t do Ignite without support from these great organizations. We really appreciate your support and contributions! Ignite 8 Call for Speakers! Ignite Ann Arbor 8 will be held at Blau Auditorium, Ross School of Business, University of Michigan, at 7pm on Sunday November 17th, 2013! We are excited to bring Ignite to Ann Arbor again and are eager to see what the community comes up with. 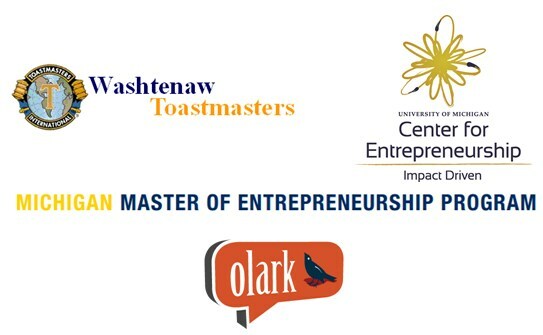 A very big thank you goes to the U of M Master of Entrepreneurship program for providing Blau Auditorium as our venue! If you are interested, please fill out our application! The deadline for applying is midnight on October 17th, 2013. We encourage you to talk about something you have experience with, something you’ve done, or something whimsical. We’ve had more than a hundred talks, from hacking together your own camping equipment to holding a home funeral, from tracking your sleep to roller derby, from homemade near-space balloons to original fiction. YOU can do this. Apply Now. You can play both at once, and mute the sound on one. One will have control room audio, one will have camera audio. The slide view should have the best audio, from the control room. Are You The Next Mad Men? 1820 slides in 5 minutes! Here’s all 1820 slides from the previous 6 Ignites in 5 minutes! 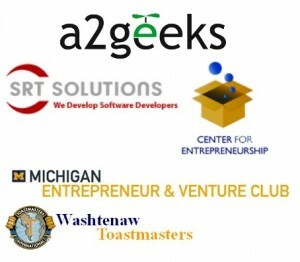 We’re excited to announce the Ignite Ann Arbor 7 program for Thursday October 25th! You can follow our speakers quickly from this twitter list. 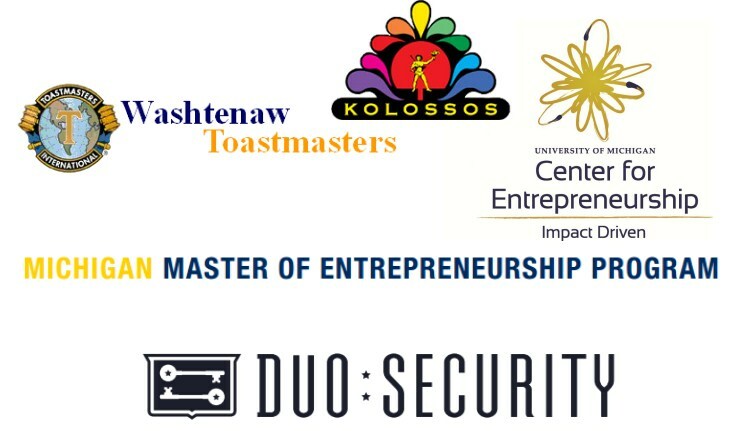 Big thank you to our Ignite Sponsors!!! We really appreciate the sponsorship of the above organizations, they help make Ignite possible. Thank you!